Marching in Red Square, Moscow, Russia. 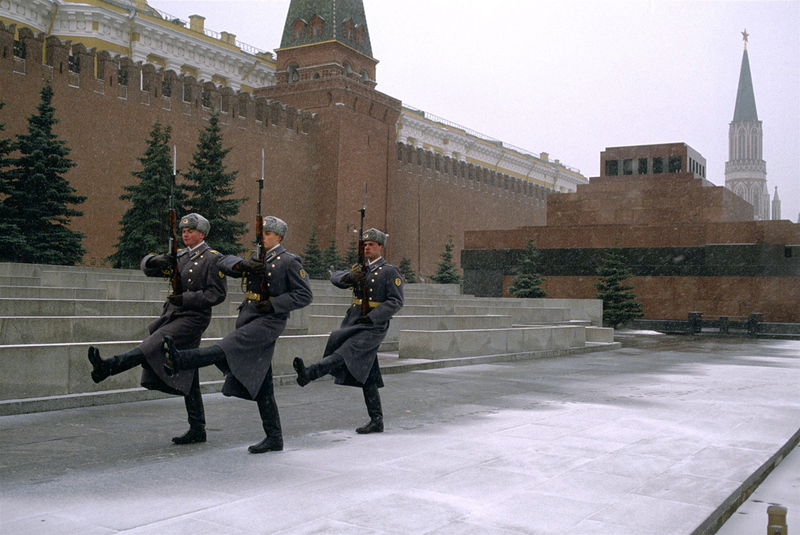 In the background is Lenin's Tomb. The final resting place on Red Square of Vladimir Lenin, Russia’s Bolshevik revolutionary leader, will close on Feb. 16, reported the Federal Protection Service (FSO). “Due to planned maintenance work, the mausoleum will be closed for visitors from Feb. 16 until April 16,” said the FSO in a statement. Mausoleum maintenance normally takes place once every six months. Rossiskaya Gazeta reported that this time a biochemical treatment will be applied to Lenin’s body of Lenin, and that he will get new clothes.